Maddie's Fund® will hold its third annual Maddie's® Matchmaker Adoptathon on June 9 and 10. Due to the success of previous adoptathons*, Maddie's Fund has decided to grow the event - both geographically and financially. This year, 14 shelters and rescue organizations from San Francisco County have been added to the roster. A total of 62 groups will hold adoptions in more than 80 locations throughout Alameda, Contra Costa and San Francisco Counties. In addition, Maddie's Fund has set aside $3 million for this year's adoptathon to meet its goal of finding loving homes for 3,000 dogs and cats in all three participating counties. Free adoptions of dogs and cats will be offered to qualified adopters. In return, Maddie's Fund will pay each shelter or rescue group from $500 to $2,000 per adoption**. Stoneridge Shopping Center in Pleasanton and Bay Street Emeryville have partnered with Maddie's Fund to host pet adoptions. The San Francisco SPCA and Animal Care & Control will host a street fair event for all participating San Francisco-based shelters during the adoptathon, located on Alabama Street between 15th and 16th Street. PETCO, PetSmart and Pet Food Express stores throughout the three counties have also offered to provide additional adoption locations. "My family and I spent the weekend visiting many of the participating locations at last year's adoptathon," said Dave Duffield, Maddie's Fund founder. "The joy we saw in the animals, as well as the volunteers and the adopters, is the reason we created Maddie's Fund. The adoptathon is a testament to what can be done when people come together in lifesaving and rally for a common cause." Maddie's® Matchmaker Adoptathon is being held to increase awareness of shelter animals and their need for loving homes and to shed light on the tireless efforts of the shelters and rescue organizations in Alameda, Contra Costa and San Francisco Counties that work so hard to save the lives of countless dogs and cats every day. The adoption event honors the memory of the Foundation's namesake, a miniature schnauzer named Maddie. 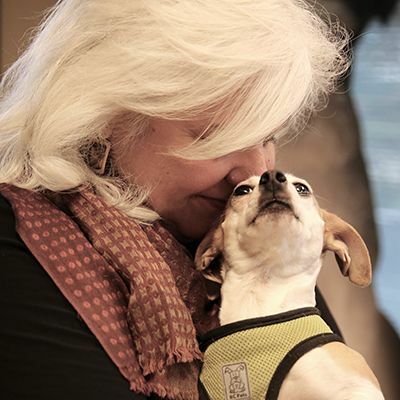 We invite you to watch the 2011 Maddie's® Matchmaker Adoptathon Success Stories video to get a taste of the joy and excitement this event generates. *For a year-by-year snapshot, including number of participants, animals adopted and total dollar amount given by Maddie's Fund, please click here. ** Maddie's Fund will pay organizations $500 per regular adoption, $1000 for each adoption involving a dog or cat who is 7 years of age or older or who has been treated for one or more medical conditions and $2000 for each adoption involving a dog or cat who is 7 years of age or older and who has been treated for one or more medical conditions (list can be provided upon request).